The construction site of the Nachtigal Amont hydroelectric project on the Sanaga River (70 km north-east of Yaounde) has officially begun. On this site, civil engineering design and construction work will be carried out by the French civil engineering company NGE. 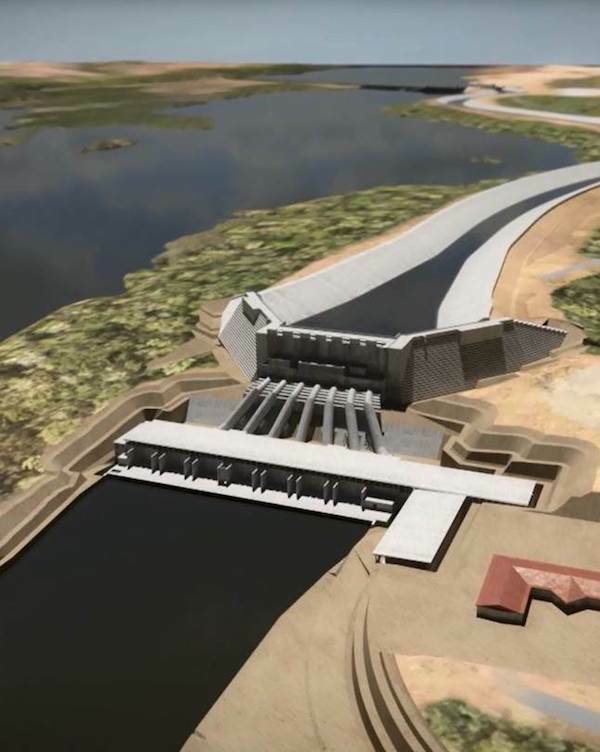 The various works will include the construction of a roller compacted concrete of 400 000 m3 forming a dam about 1.5 km long as well as a 3.3 km canal with a capacity of 980 m3 / s and the civil engineering works of the hydroelectric plant (which will include seven 60 MW turbines). The contract for this work, amounting to almost 400 million euros for a period of 57 months, was concluded on August 1 between NGE and the concession company NHPC (Nachtigal Hydro Power Company) which includes EDF ( 40%), the Republic of Cameroon (30%) and the World Bank Group (30%). Once it is completed and commissioned in 2023, the new plant will have a capacity of 420 megawatts. It will enable Cameroon’s electricity supply to grow by almost a third.